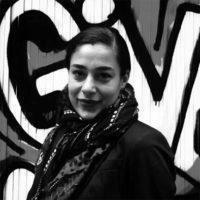 Sylvia Croese is an urban sociologist and the PEAK Urban Research Officer at the African Centre for Cities. Her current research focuses on the governance, localisation and implementation of global urban development policy, particularly the Sustainable Development Goals, and its interface with urban research. She is an embedded researcher in the City of Cape Town as part of the Mistra Urban Futures research project Implementing the New Urban Agenda and The Sustainable Development Goals: Comparative Urban Perspectives and Principal Investigator in the LIRA Agenda 2030 research project Co-producing urban knowledge in Angola and Mozambique through community-led data collection: towards meeting SDG 11. Sylvia has taught in the department of sociology at Stellenbosch University and the University of Cape Town and has published several peer-reviewed articles, papers and book chapters. With Prof Susan Parnell, she is co-lead author of the UCLG “Development of the 5th Global Report on Local Democracy and Decentralization (GOLD V): ‘Localizing the Sustainable Development Goals and the Global Agendas’. Africa Chapter”. (book proposal accepted by HSRC Press) Refractions of the national, the popular and the global in African cities. Co-editor with Simon Bekker, Edgar Pieterse and Göran Therborn. Croese, S. (2017) ‘State-led housing delivery as an instrument of developmental patrimonialism: The case of post-war Angola’. African Affairs 116, pp. 80-100. Croese, S. (2016) ‘International case studies of Transit-Oriented Development-corridor implementation’. Report 3. Spatial transformation through Transit-Oriented Development in Johannesburg Research Report Series. South African Research Chair in Spatial Analysis and City Planning. University of the Witwatersrand: Johannesburg. Croese, S. (2016) ‘Urban Governance and Turning African Cities Around: Luanda Case Study’. 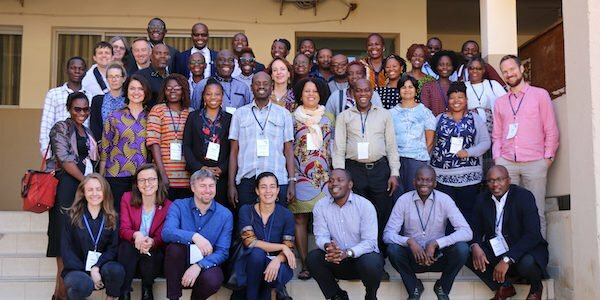 Partnership for African Social and Governance Research Working Paper No. 018, Nairobi, Kenya. Croese, S. (2016). Urban planning in Lusophone African countries (book review). Urban Africa.net. Cirolia, L, Croese, S and Graham, N. (2016) ‘Towards Habitat III: confronting the disjuncture between global policy and local practice on Africa’s ‘challenge of slums’’. Habitat International 53, pp. 237-242. Croese, S. (2015) Urban Infrastructure in Sub-Saharan Africa – harnessing land values, housing and transport study for Palmer Development Group/African Centre for Cities. Literature review on housing Report 3. Croese, S. (2015) ‘Ghosts evicted from empty city’. Cityscapes 7: Futurity – out now! Sean O’Toole and Tau Tavengwa, eds. Croese, S. (2015). ‘Inside the government, but outside the law: residents’ committees, public authority and twilight governance in post-war Angola’. Journal of Southern African Studies 41 (2), pp. 405-417. Croese, S. (2014) Politics and policies: governing cities in Africa (book review). UrbanAfrica.net. Croese, S. (2012) ‘1 million houses? Angola’s national reconstruction and Chinese engagement’. In Marcus Power and Ana Cristina Alves, eds. China and Angola. A marriage of convenience? Oxford: Pambazuka Press, pp. 124-144.